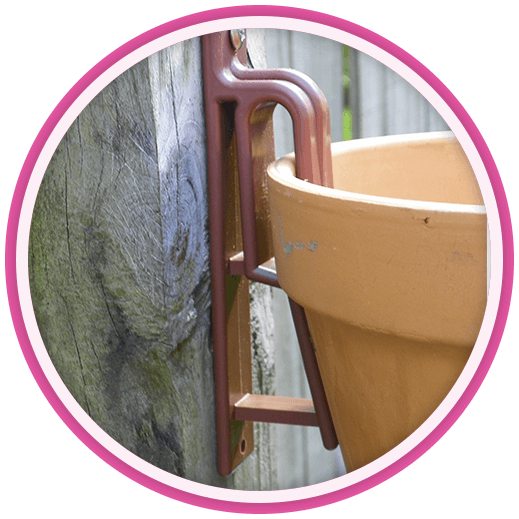 One Hanger Holds Clay Pots 3"-10" Up To 50lbs! 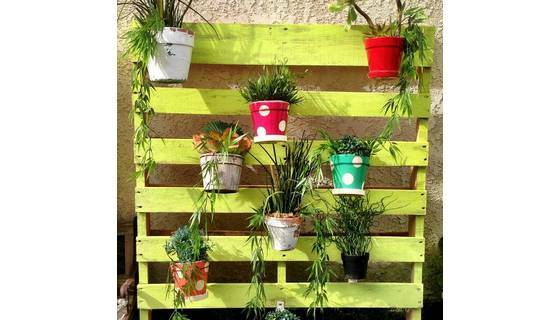 Transforms ANY surface into colorful vertical gardens of potted plants. Turn dull areas into wow! in minutes. 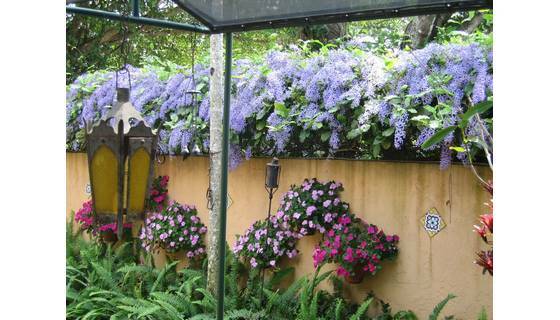 The professional designers choice for living walls, patio and apartment container gardens. 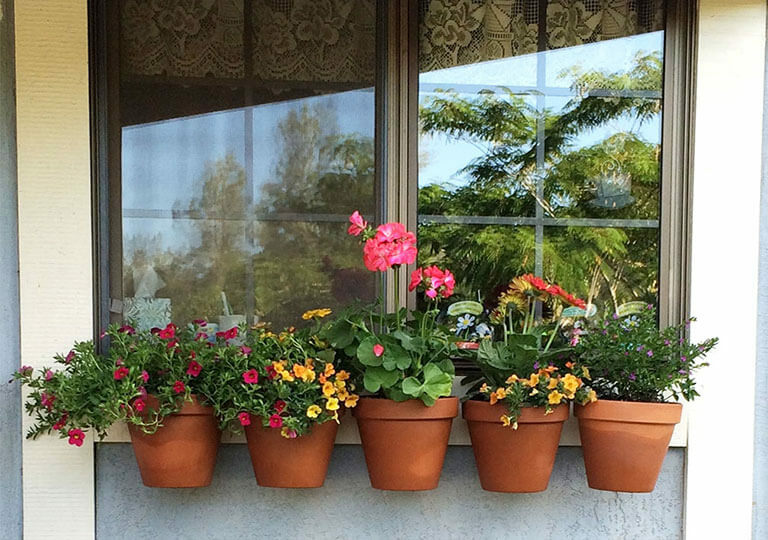 Inexpensive solution for small space gardening. 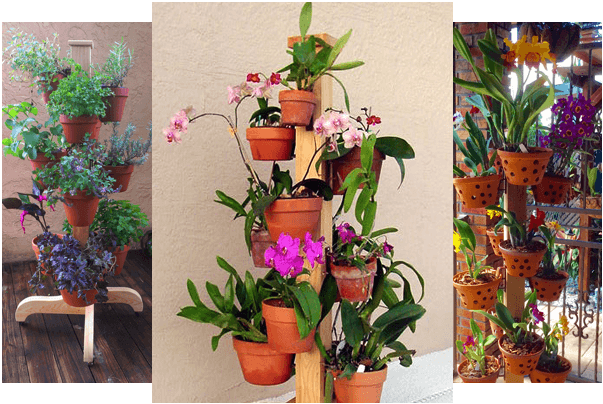 Featured in many magazines like Better Homes and Gardens, Do it Yourself, Country Living, Urban Gardening, The American Orchid Society, and used by designers on TV Home Improvement shows. Used in some of the most shared images on social networks. 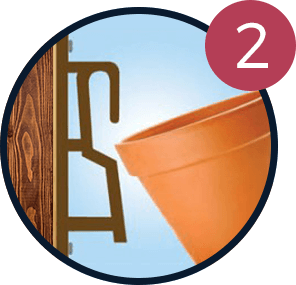 As one of the strongest flower pot hangers, Hang-A-Pot will easily support the full weight of a potted plant, soil, and water. Even heavy succulents and vegetables are no match for Hang-A-Pot. 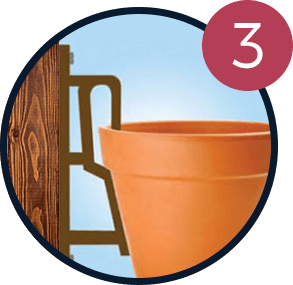 Combined with gravity, the big angle acts a lever, transferring the plant’s weight to the pot’s surface. Physics, a wonderful concept! 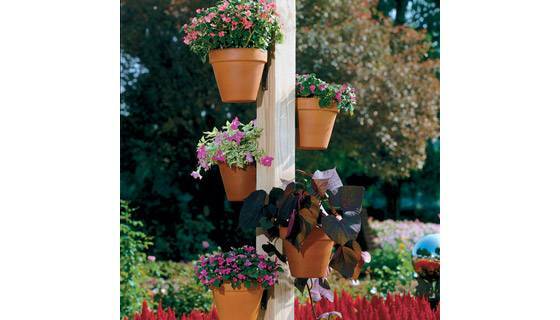 Designed to securely hang, 4- to ten-inch clay pots, terra cotta orchid pots, and decorative glazed pots with a standard lip and shape. Securely holds the pot in high winds. Made of durable polypropylene (used in space, industrial, and military applications) that is UV-protected and won’t get brittle. 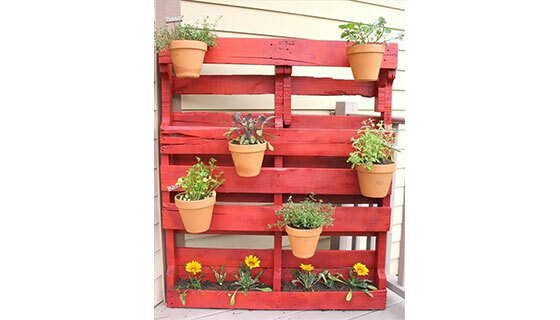 Great for small spaces, patios, or apartment gardening. Even use indoors! 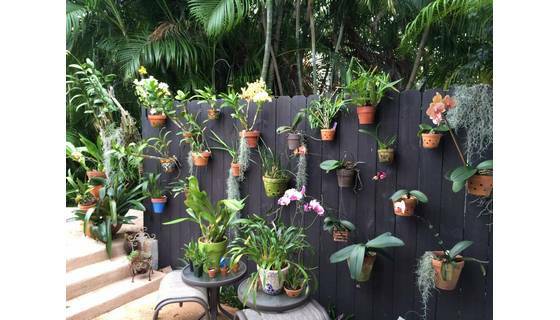 Hang-A-Pot Orchid Hanger and Flower Poles save space. 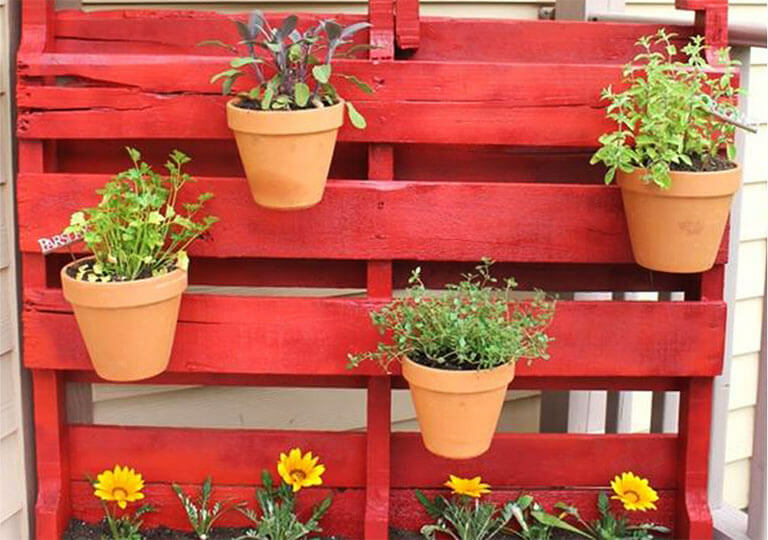 Go vertical with your garden! 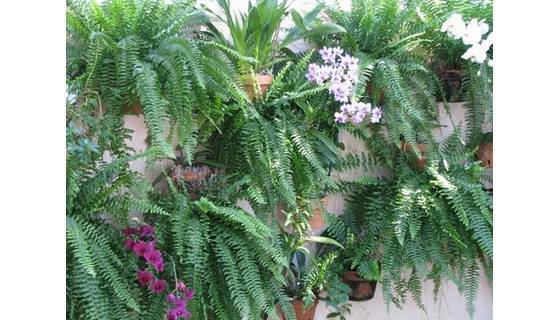 Create beautiful vertical gardens of orchids, herbs, succulents, bromeliads, or edible gardens of strawberries, tomatoes, peppers, etc. 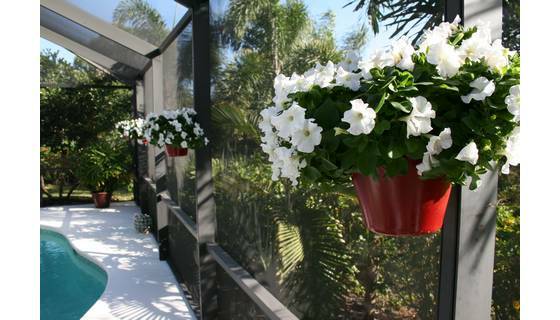 You can even use it inside with houseplants to remove toxins from the air. 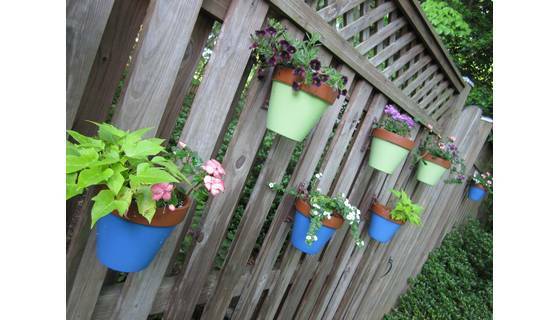 "Just wanted to let you know that I received my “Hang-A-Pot” order and I absolutely love, love, love them! 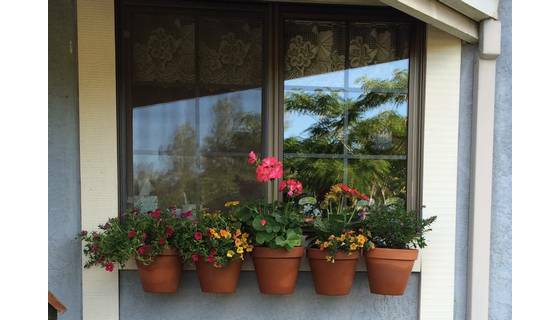 My yard looks fabulous with my little pots on my fence with wave petunias in them. Great job guys…thanks! I’ll tell all my friends for sure and once people see them, I know they will want some." 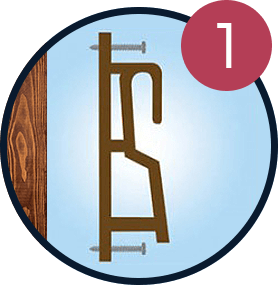 "I use these often as gifts for friends and neighbors and they are always well received." "Thank you, Ralph! 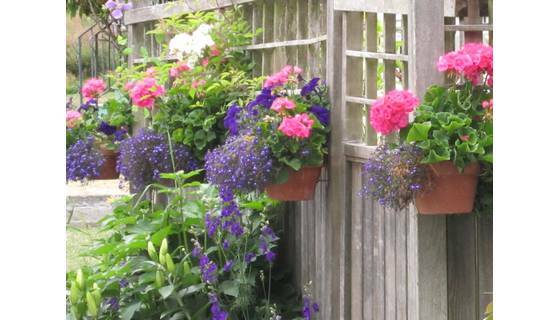 As always Hang-A-Pot is the best; I love them and they are everywhere around my yard."